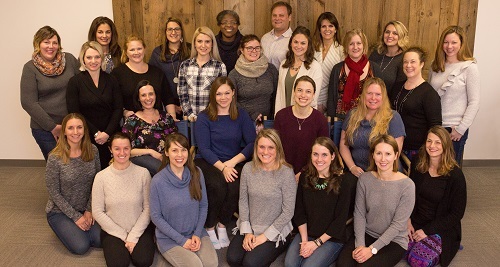 Dedicated to providing fun and friendship for the families, the Greater Newburyport Mothers and Families Club (GNFC) connects members with local family-friendly activities, events and educational programs to keep our community safe and happy. Founded in 1999 with only a few families, the GNFC now has more than 900 member families and counting, a true testament to the Club’s commitment to the Newburyport community and surrounding areas. From monthly kids’ events to various adult outings, the GNFC is a great way to get your family out of the house, including playgroup-matching assistance and a variety of sub-groups for moms and dates to suit a wide range of interests and hobbies like Running Moms, Stay-At-Home Dads and Mothers of Multiples. Joining the GNFC also provides your family access to a member-only online community that features a calendar of events, a list of local babysitters and information on member-run businesses so you can help support local. Additional member benefits include an annual Early Education Fair, member assistance through the GNFC’s In-A-Pinch program, and numerous ways to help the community through outreach efforts such as food drives, park cleanups and Habitat for Humanity. If you have any questions about the Greater Newburyport Mothers and Families Club, please send emails to President@GreaterNewburyportFamilies.org. GNFC is helping families save! This offer is intended only for GNFC active members and their families so there is a limit of two cards per member, and if purchasing two cards they must be part of the same order. Email VIPcard@Newburyport.Com for special member order code. Once active member status is confirmed you will receive an email with the member code and can place your order. If you are purchasing two cards make sure you include the full name and email address for the second card holder in the additional card recipient field of the order form.